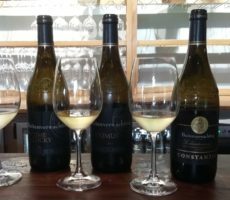 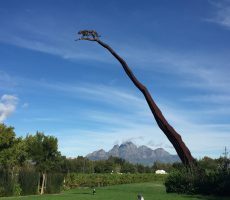 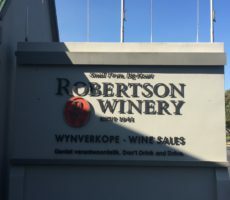 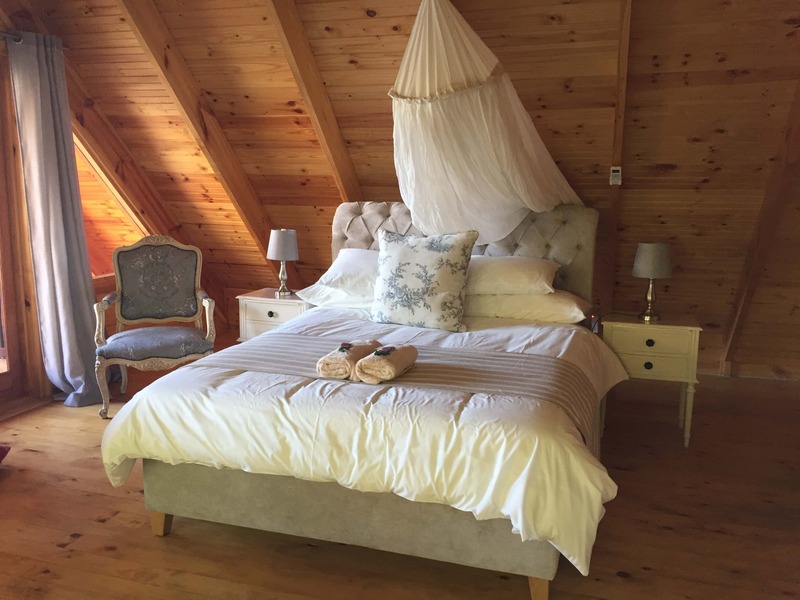 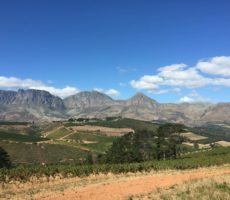 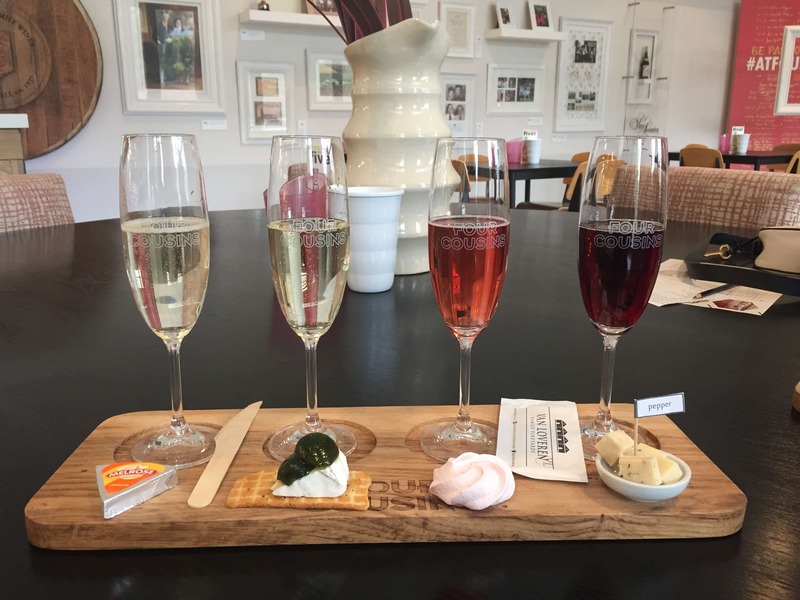 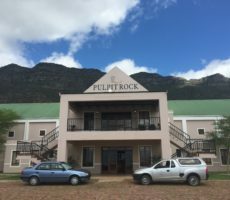 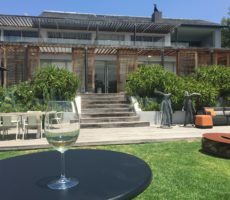 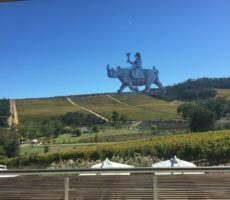 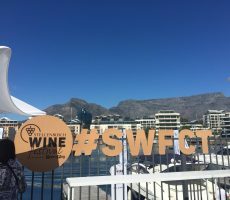 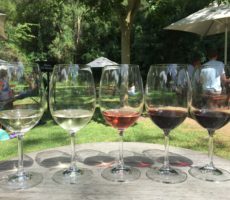 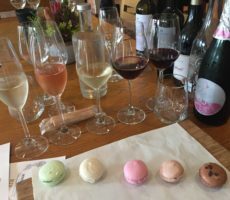 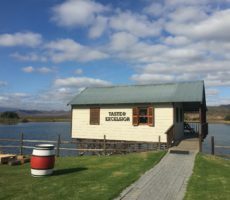 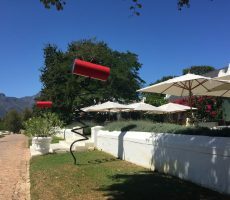 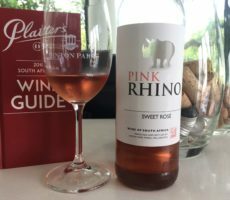 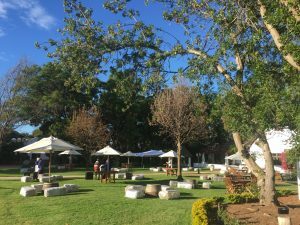 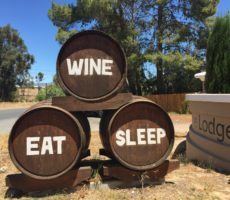 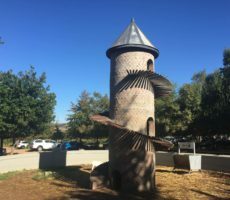 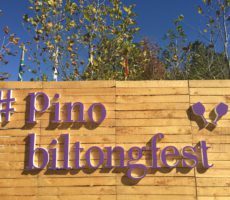 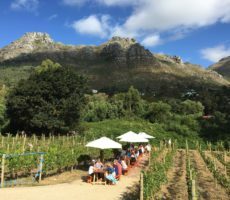 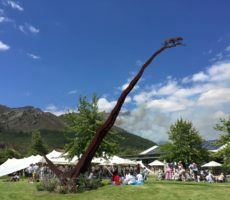 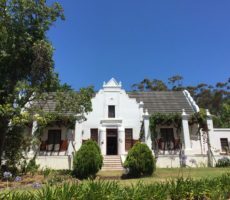 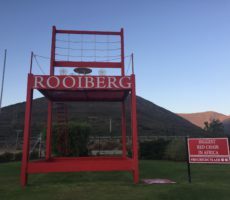 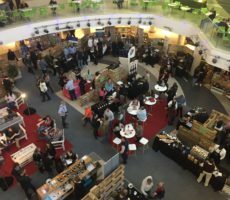 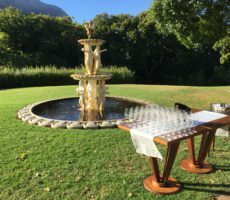 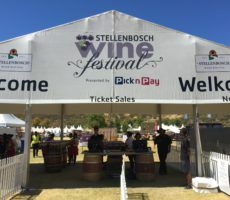 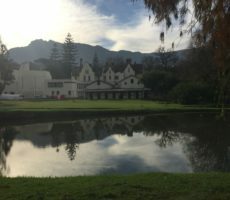 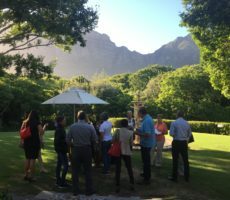 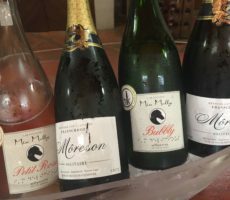 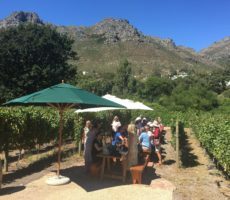 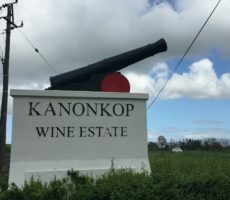 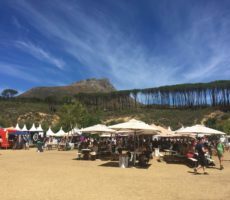 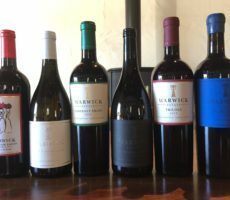 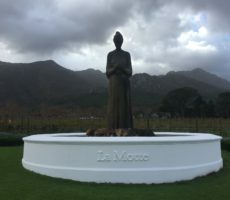 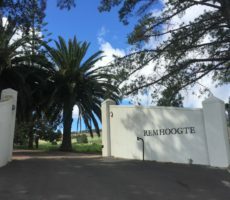 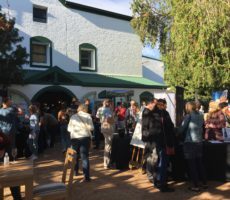 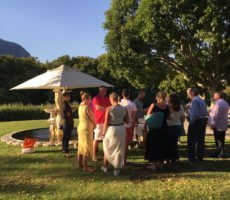 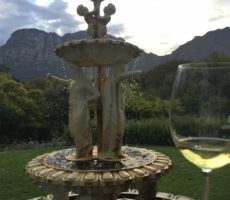 I was thrilled to be back in the Robertson Wine Valley for my second Wacky Wines Weekend. 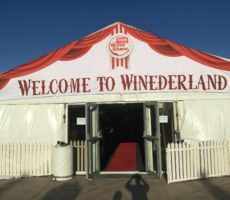 I came last year for the Weekend and had a great time so it was good to return. 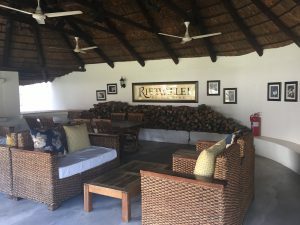 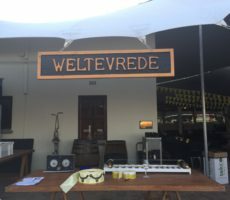 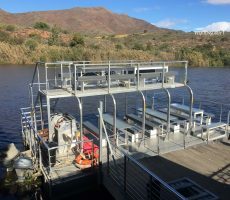 My first port of call, early on the Thursday morning and on the first day of the Festival, was to Rietvallei. 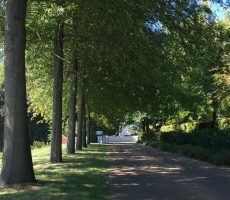 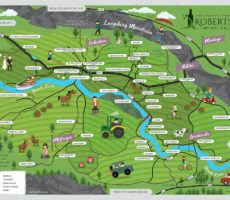 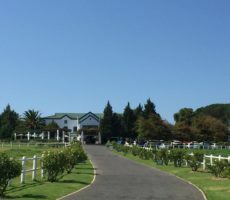 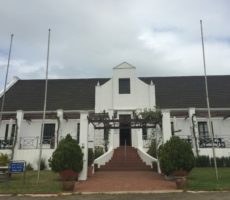 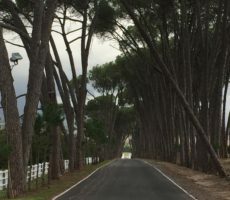 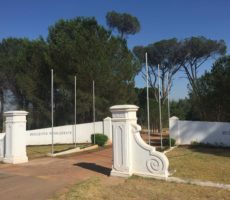 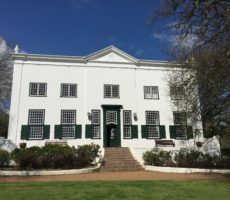 The Estate lies about 7 kilometres to the East of Robertson on the road to Ashton. 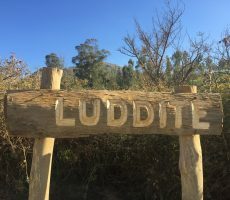 The central location in the Valley made it an ideal starting place. 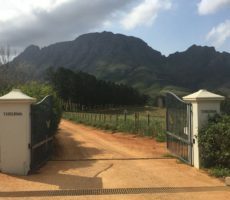 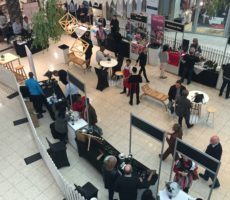 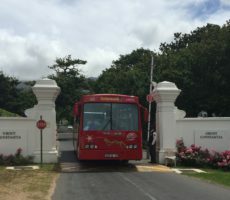 My early start – I arrived at 9.15am! 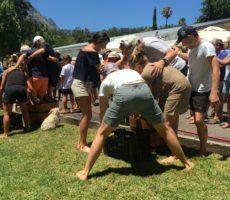 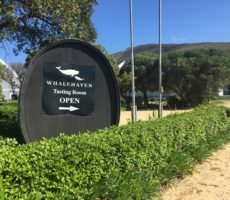 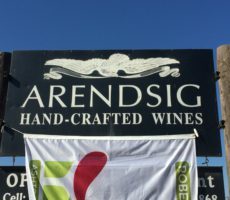 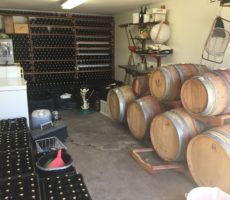 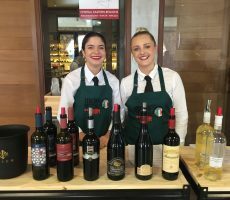 – in the late-May sunshine meant that the staff were still making the final preparations for Wacky Wines. 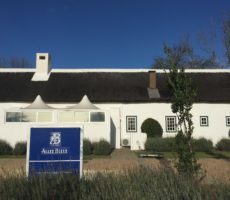 Straw bales and large white umbrellas were being laid out on the lawn in front of the thatched family home. 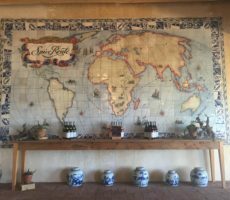 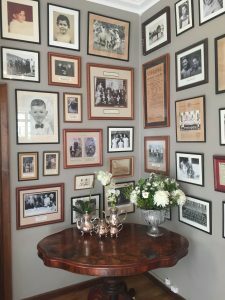 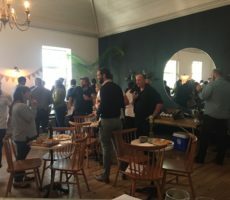 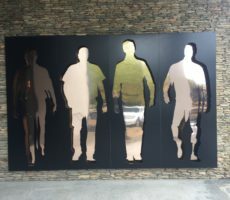 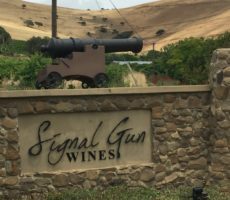 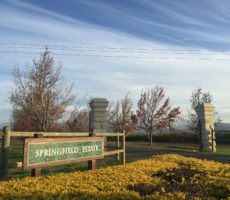 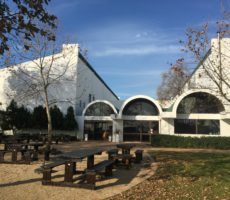 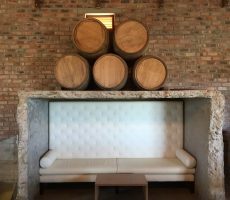 There was a welcoming energy as I made my way inside to the Tasting Room. 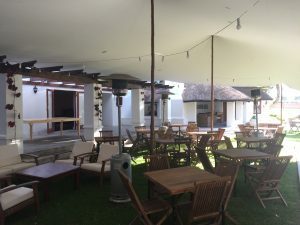 Outside there was a large lapa with armchair seating that I was sure would fill up with guests later in the day. 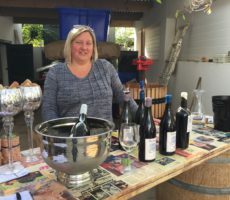 Kay soon found me and guided me through the tasting choice, which was a choice of 6 wines (R50) from either the Heritage or Classic Selection. 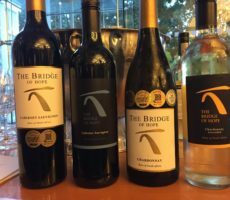 I chose the Classic option as not all Heritage wines were available for tasting. 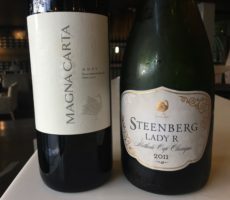 I picked out the 2 of the white wines to start. 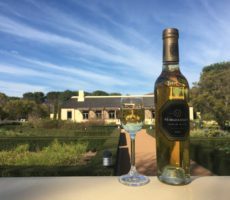 The Sauvignon Blanc, a Veritas Double Gold Winner, was made in a green style with aromas of nettle, grass, grapefruit and green pepper. 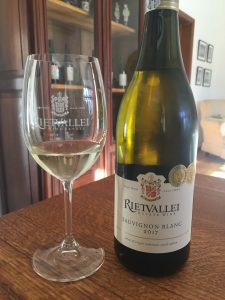 The freshness on the nose extended to a bright, youthful palate with a bright acidity. 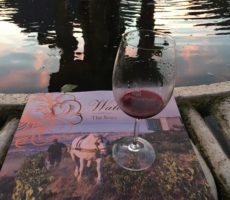 The wine was almost too fresh to drink alone. 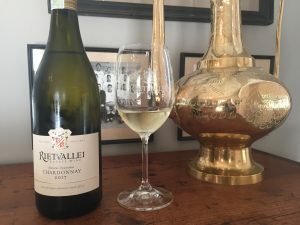 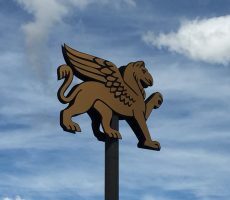 The unwooded Chardonnay, also a Double Gold (Michelangelo) Winner, showed a good complexity of fresh lemon, unripe green apple and nutty almond notes. 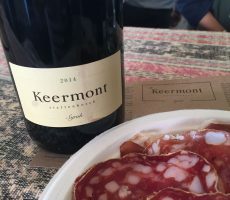 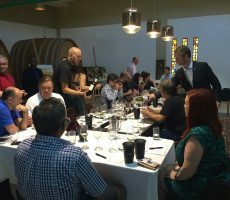 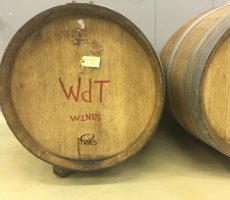 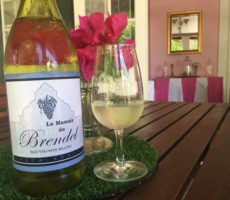 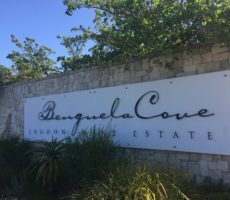 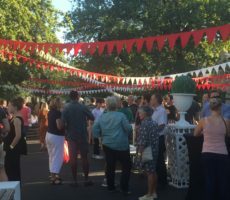 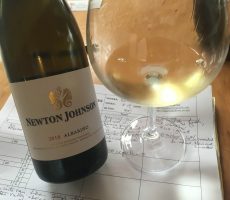 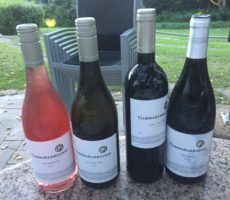 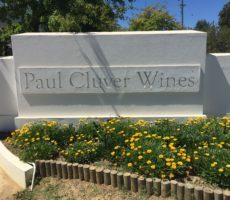 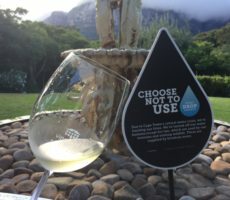 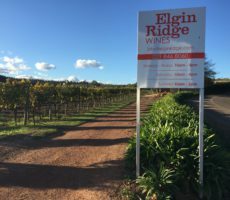 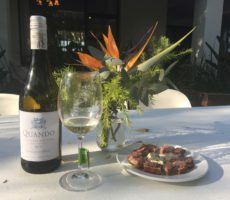 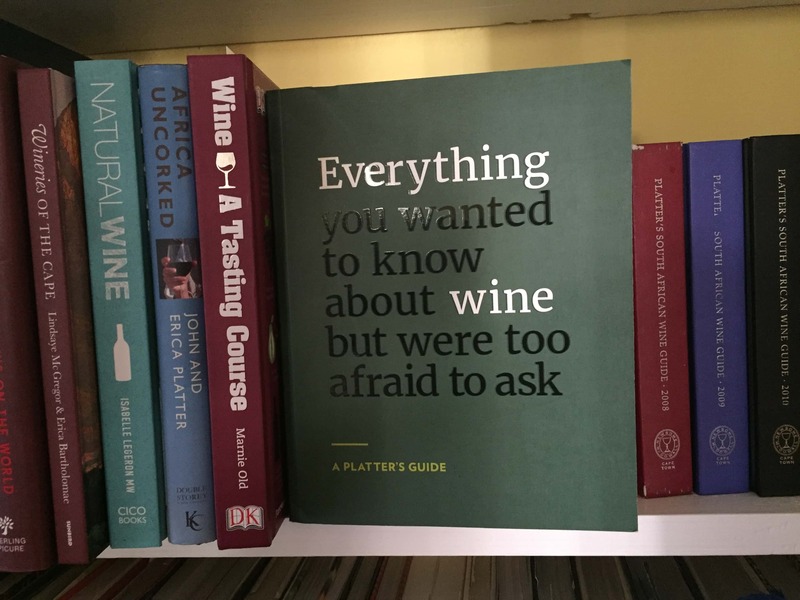 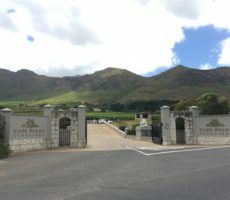 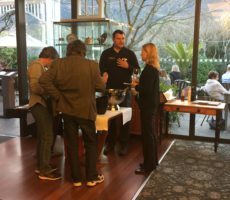 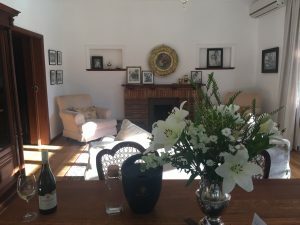 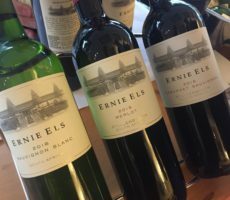 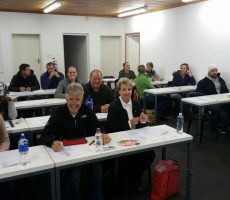 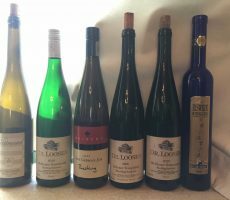 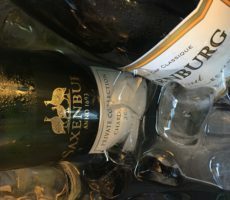 The wine was shy on the palate – perhaps due to being served straight from the wine fridge – but showed more body than the Sauvignon Blanc due to 6 months contact with the lees. 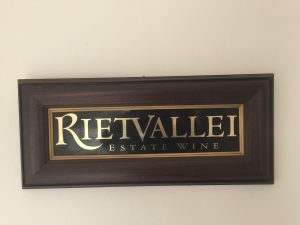 Rietvallei was bought by Alewyn Burger (a fitting first name I think) for his son in 1864. 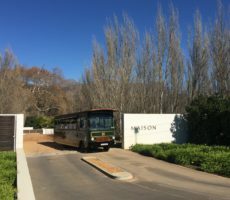 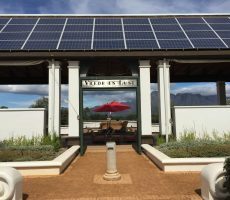 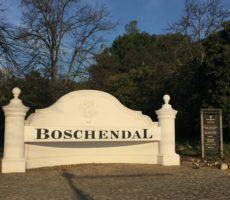 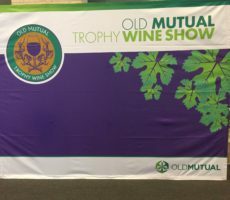 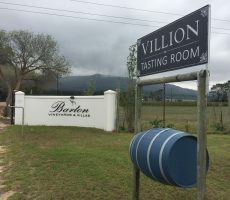 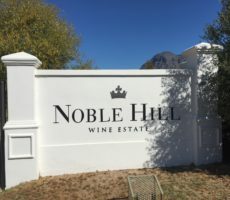 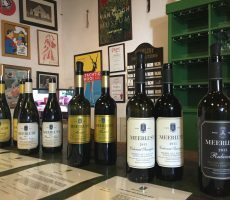 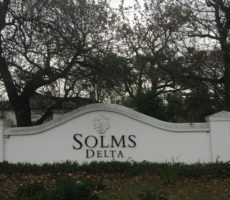 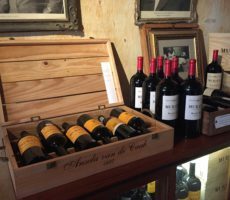 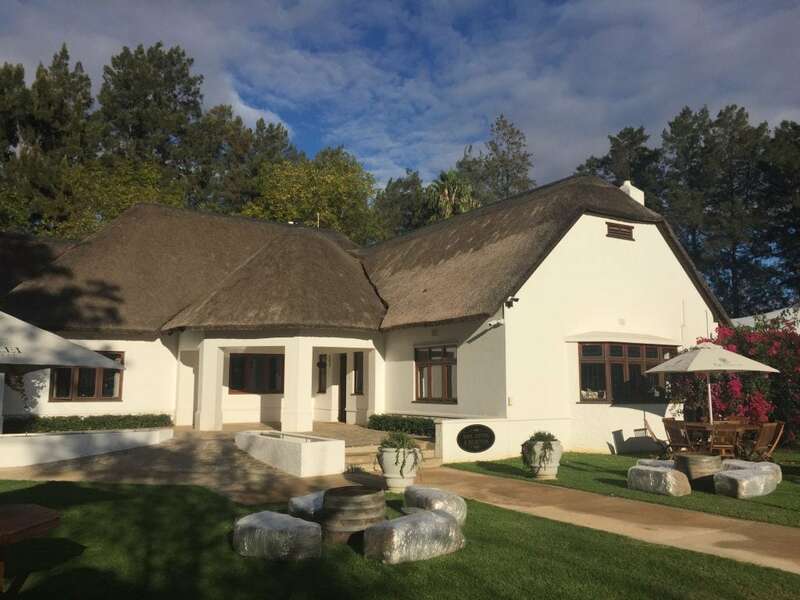 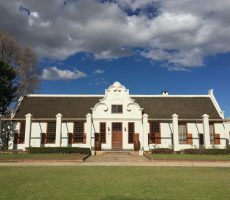 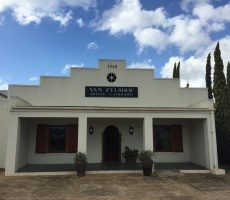 This makes the farm one of the earliest and oldest wine estates in the Robertson Valley. 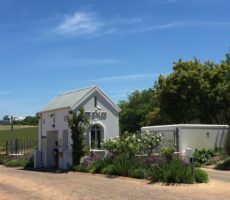 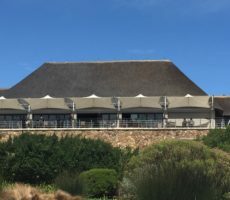 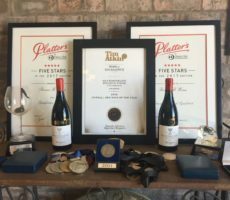 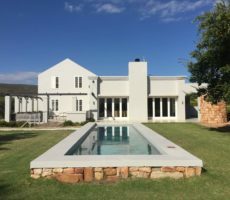 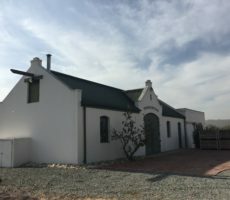 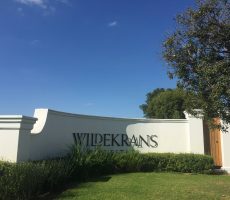 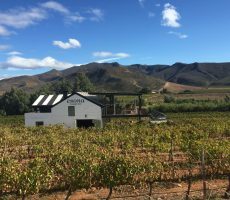 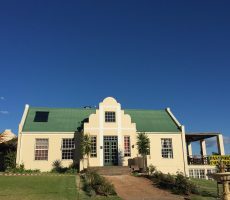 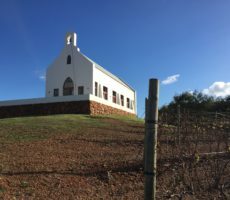 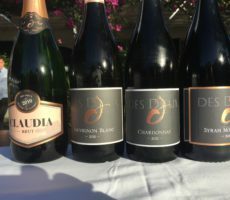 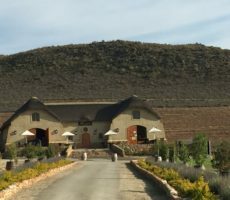 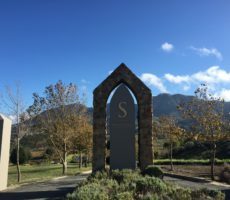 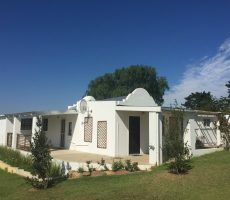 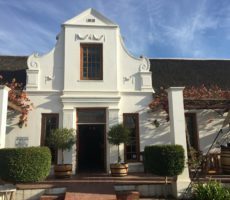 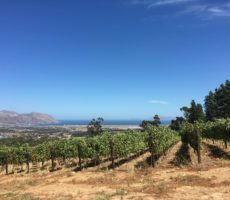 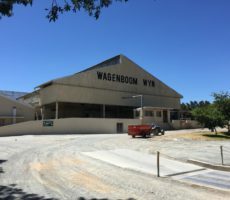 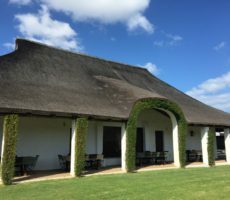 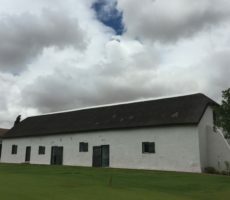 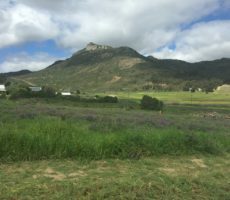 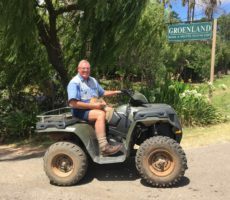 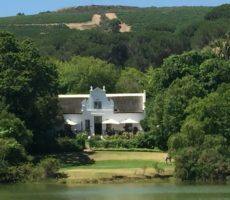 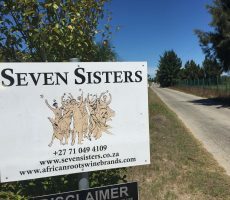 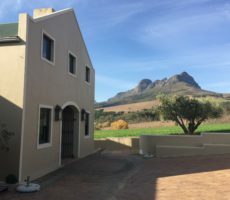 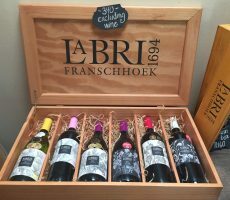 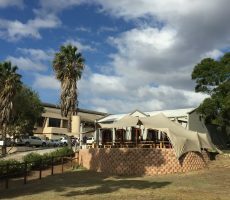 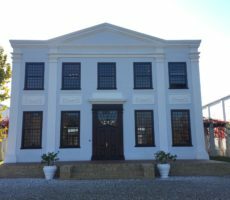 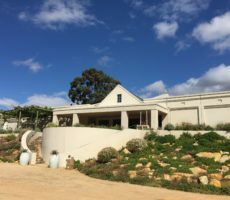 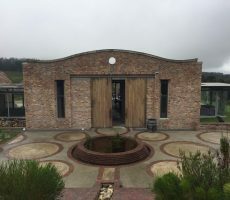 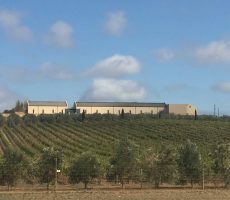 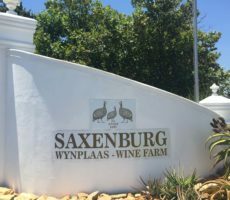 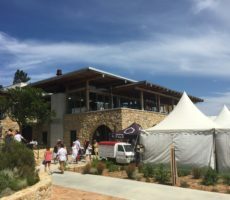 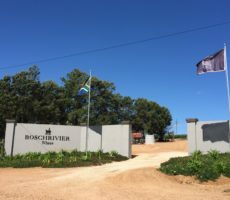 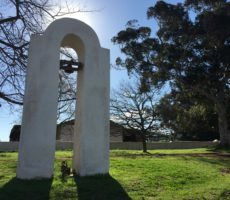 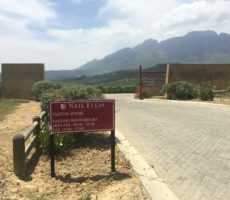 The 215 hectare property is owned by the 6th generation Burger, Kobus, who is also the winemaker. 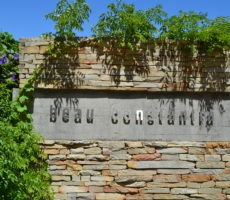 Red and white wines are made in almost equal amount (Rosé and dessert wines too) from vines growing on 119 hectares. 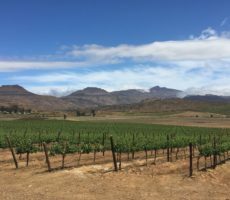 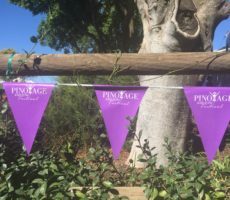 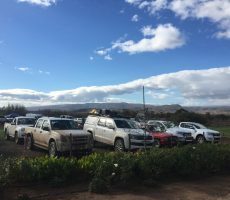 Sauvignon Blanc, Chardonnay, Viognier, Cabernet Sauvignon, Cabernet Franc, Shiraz, Petit Verdot, Tinta Barocca, Cinsault and Red Muscadel are planted and there are plans to increase vineyard area to 150 hectares. 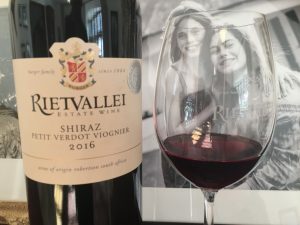 The first of 2 red wines I tasted was a Shiraz-led blend with Petit Verdot and a dash of Viognier. 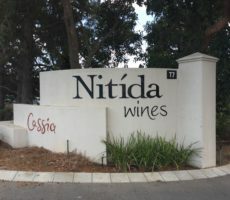 The medium-bodied wine showed typical purple ruby colour of the Shiraz grapes. 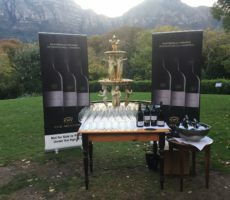 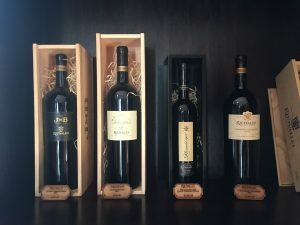 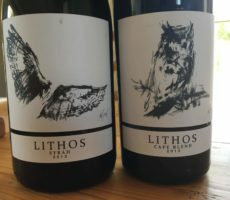 The blend showed good complexity of red and black fruits from the different cultivars on the nose – currant, cherry and plum – together with black pepper spiciness. 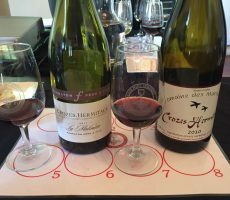 The palate was less full of flavour than I expected it to be with tight, young tannins from 12 months ageing in 2nd/3rd fill French oak. 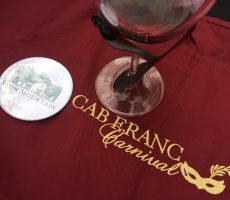 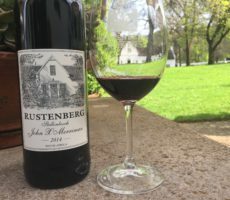 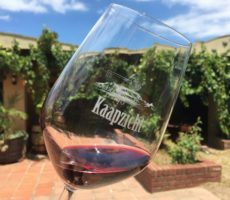 The 2016 Cabernet Sauvignon had been released for just 3 weeks. 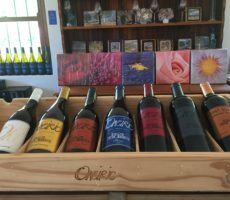 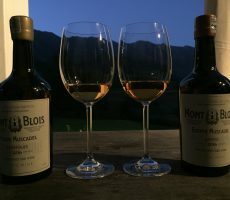 The wine was similar in character to the blend, with more intense aromas than flavour. 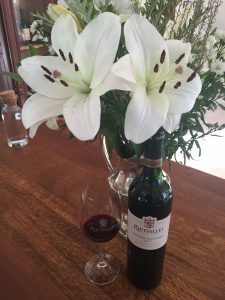 The nose showed classic Cabernet Sauvignon notes of red and black fruits (bramble and dark plum) together with graphite and pencil shavings. 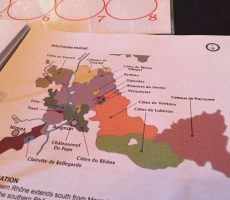 The wine was not entirely well balanced on the palate with bitter tannins coming to the fore. 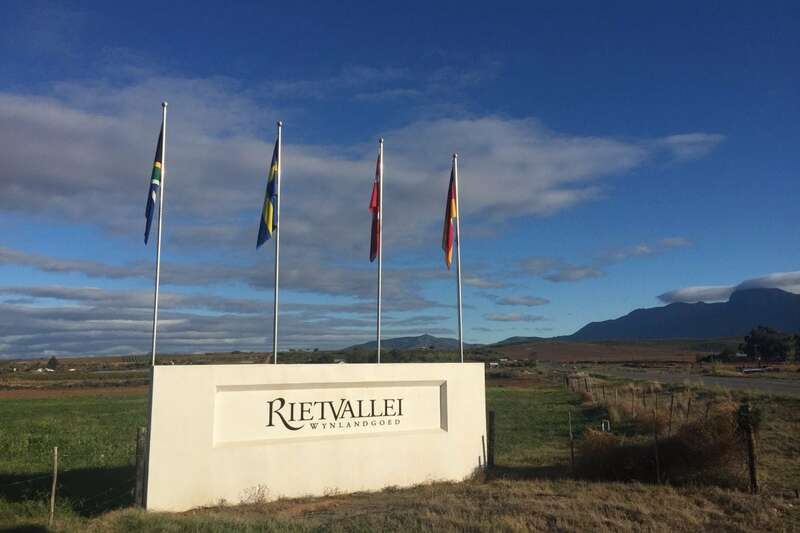 Rietvallei is well known for its Red Muscadel bush vines that were planted by the 2nd generation owner in 1908. 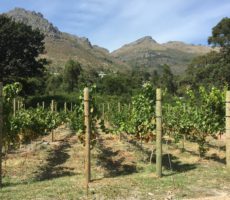 They take up ¼ hectare but that is enough to make a dessert wine for the Heritage Range. 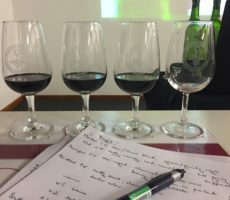 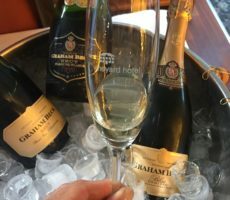 I chose to taste alongside the Muscadel from the Classic Selection. 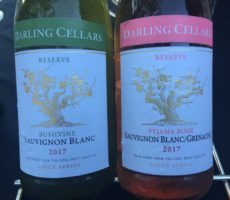 The 2 wines differed in colour with the Classic wine being paler than I expected. 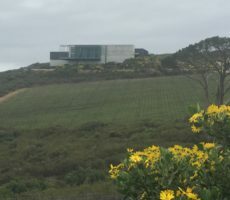 It was deep salmon in colour and without the more copper tawny appearance of the bush vine wine. 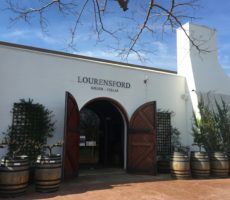 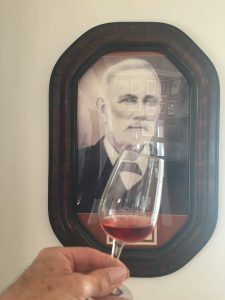 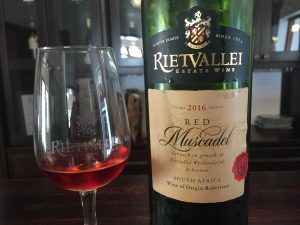 I enjoyed both wines, preferring (just) the Classic Muscadel. 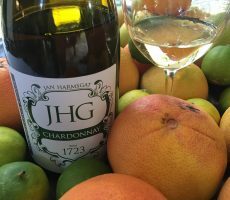 I liked the grapey, floral, perfumed orange marmalade aromas and the warming palate (17% alcohol) with its pleasant clean, sugary sweetness. 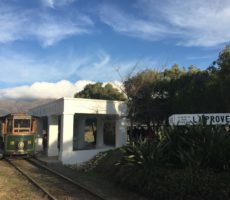 The 1908 version differed. 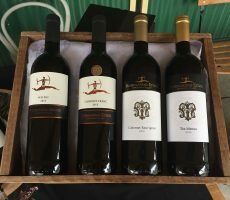 The aromas were less floral and with greater delicacy and lesser intensity of dried apricot, sultana and tangerine fruits. 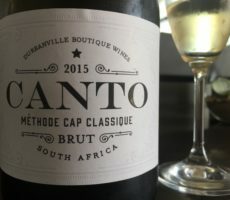 The texture was smooth, silky and light on the palate with decent length. 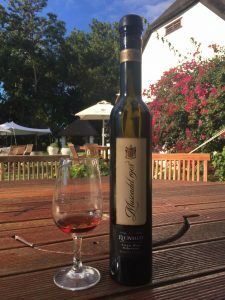 The Classic Muscadel was especially good value at R75 for a 750 ml bottle. 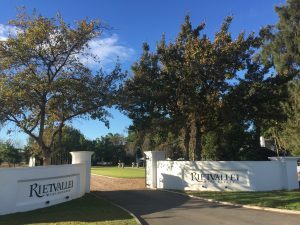 Rietvallei was still warming up for Wacky Wines as I left. 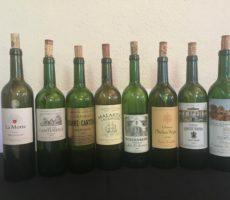 I thoroughly enjoyed the tasting. 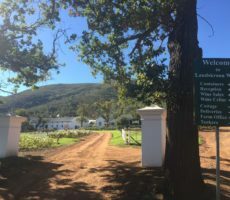 The early start – for me and for birth of the estate – was well worth it.